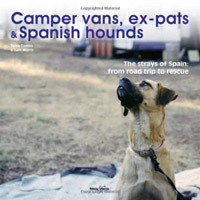 SOS Animals UK was initially set up to help the strays of Spain. Every year millions of British citizens visit Spain, and many decide to live there permanently. Unfortunately, Spain has one of the largest stray populations of dogs & cats in Europe. Furthermore, horrific cases of animal cruelty have been extensively documented, specifically directed towards the working dogs. In Spain, it is not rare for the Podenco’s (pharaohound) and Galgo’s (greyhound) to be hung when they have finished their working life, or have their legs broken, among many other forms of barbarity that are practiced. Neutering is not common in Spain for dog or cats and neither is vaccinations. Many dogs and cats are therefore left exposed to debilitating diseases which spread rampantly through the stray population. Huge quantities of dogs and cats are left to suffer and die alone, scared in the Spanish countryside. Often mum’s with pups are the worst to suffer. To make matters worse the British citizens that have moved to Spain are responsible for half of the dogs dumped in some of the shelters on the Costa Del Sol. With the current economic situation, many British citizens are packing up their villas and moving back to the UK; forgetting their beloved pet, dumping them at the local shelter or just leaving them alone and abandoned outside their houses. Many of theses dogs find it very hard to adapt to shelter life after having the warmth and security of their own home and owner. Some of these dogs simply just give up, get very depressed, and their health quickly deteriorates. These dogs often pine for months waiting for their owner to come back. Inevitably, they never do. You may think that helping Spanish Dogs should not be our concern in the UK but it is very much ‘our’ problem. 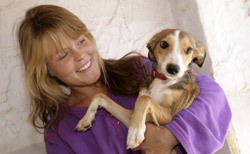 As a result we have set up SOS UK to help shelters like SOS Animals in Spain. 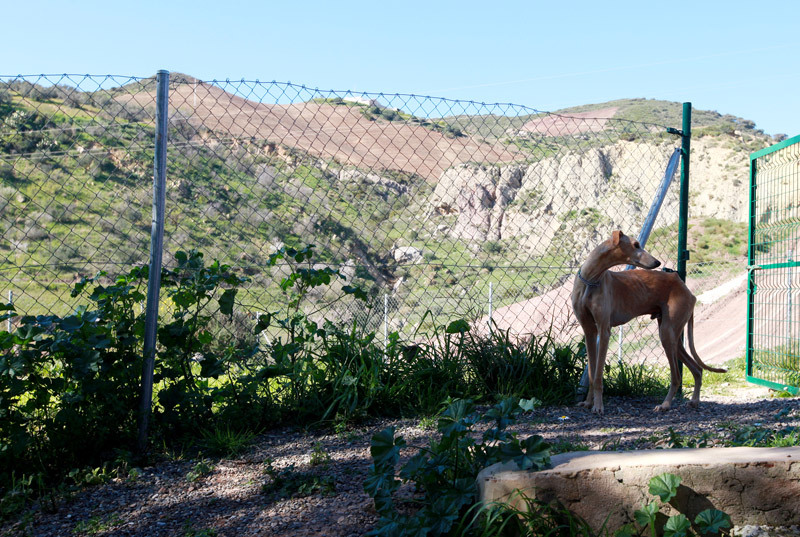 SOS Animals in Spain and other animal welfare charities on the Costa del Sol are hugely under funded, under supported and inundated with dogs. Many of these dogs have been there for years, and are in danger of catching disease or developing psychological problems. With this in mind we concentrate our efforts on the ‘worst case’ animals; generally dogs that have little hope of finding a secure, loving home in Spain. To rescue, rehabilitate & re-home theses neglected animals is our aim. We send volunteers, vets & vet students to Spain to help the shelters and also to help us understand more about the problems and issues that a shelter has to face on a day-to-day basis. We also work with vets to help neuter the strays on the street, this is the best solution for controlling the problem of a stray population in most countries. In addition to this we collect supplies, medication, food, and bedding and try and support the shelter as much as we can. Much of this is simply to publicises and show recognition for all the wonderful work that they are doing. SOS Animals UK is a volunteer run, not for profit organisation helping stray and abandoned dogs find loving forever homes. We primarily work with our sister charity in Spain (Registered number: 4513) and dedicated foster carers to help with the plight of the stray dogs in Spain. Committed to supporting crucial neutering programmes and re-homing animals in desperate need, SOS Animals UK changes one animals’s life at a time. PLEASE HELP US TO HELP THEM – THERE ARE SO MANY WAYS YOU CAN DO IT!